NOJA Power’s OSM Reclosers are in service in 88 countries today providing simplicity in network protection and automation. With the standard system including all protection and communication capabilities expected of medium voltage distribution circuit breakers, the OSM Recloser has found new favour in a pad mount arrangement known as the NOJA Power GMK. This product allows for further flexibility in applications allowing for third party equipment inclusion. Today, we can explore some of the applications of this versatile product. As costs associated with renewable generation infrastructure continue to decline, the economic viability of renewable generation projects is driving demand in the simplicity of connecting these new assets to the medium voltage distribution grid. Utility connection requirements vary from region to region, but around 90% of the connection requirements can be accomplished with the standard NOJA Power OSM Recloser’s functionality. For the last 10%, or in the case of underground cables, the NOJA Power GMK pad mounted recloser allows design engineers to add whichever third party equipment is required to meet the last 10% of technical requirements for a project. NOJA Power works closely with design engineers for any of these projects, even providing factory installation of third party equipment ensuring that the commissioning risks are significantly mitigated on site. Being encased in a 304 grade stainless enclosure, NOJA Power’s GMK provides a highly reliable point of connection for generation and protection in the mining environment. The device can provide 200mA SEF capability as a factory delivered solution, allowing for full compliance to mining safety regulations in a standard off-the-shelf product. Added mobility of the equipment is another significant advantage, as the GMK can be disconnected and easily craned or forklifted to another location, ensuring that generation can be connected wherever necessary on site. Finally, the added Wi-Fi communications capability is an added safety feature for hazardous environments, as operators can keep a safe distance from high voltage cables or dangerous locations while interrogating or operating the GMK. 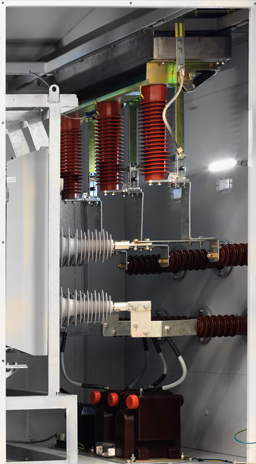 Lastly, a logical protection capability of a pad mounted circuit breaker is the ability to protect underground cables. NOJA Power’s GMK product provides DIN taper bushings for direct underground cable terminations onto the device. The segregated nature of the GMK design also splits the device into three separate compartments – the Cable Bay, the HV cabinet with Switchgear and the Low Voltage Instrument Panel. 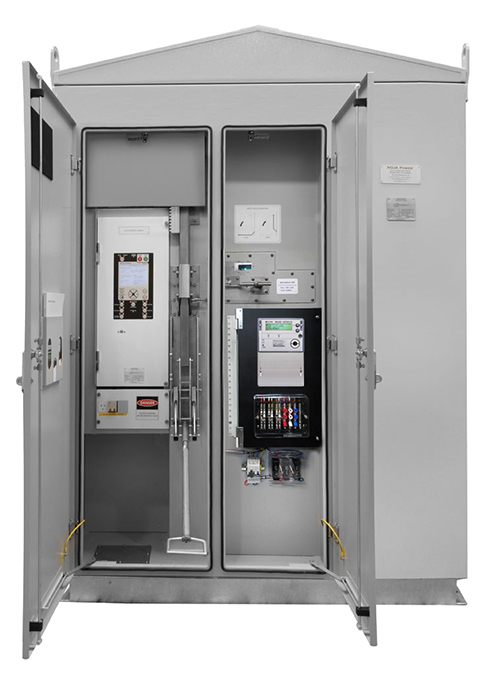 By maintaining segregation between these compartments, NOJA Power provide optimum safety for operators of underground circuit breaker equipment. NOJA Power are committed to providing safety and excellence in distribution electrical switchgear. The GMK pad mounted OSM Recloser product brings proven pole mounted performance to the world of underground connections, solving Renewable Connection, Mining applications or the protection of underground cables. If you would like more information, visit www.nojapower.com or contact your local NOJA Power distributor.